Plagiarism is a subject many people approach lightly because they do not see its full repercussions. Yet it’s a longstanding problem that still persists despite the presence of tools that identify it. The effects of plagiarism, frequently overlooked in university years, not only result in poor knowledge and writing skills – they can also have adverse consequences on one’s career. We have compiled a list of five people who would appear to have plagiarized, whether intentionally or not, on more than one occasion. Current Vice-President Joseph Biden is an important example of how mistakes from university can come back to haunt you. A failed 1965 introductory law school course forced him to withdraw from the Democratic US presidential nomination race in 1987. The allegation centered on plagiarism. In an attempt to save his campaign, Biden admitted wrongdoing and also clarified that it was unintentional mistake in his work during his first year in law school. Following his withdrawal from the Presidential race, Biden appealed to the Delaware Supreme Court and the allegations were dismissed. There was also another incident involving Biden in the same race. Accusations surfaced about some of his speeches in which he was alleged to – on certain occasions – have used excerpts of a speech made by British Labour party leader Neil Kinnock without appropriate attribution. 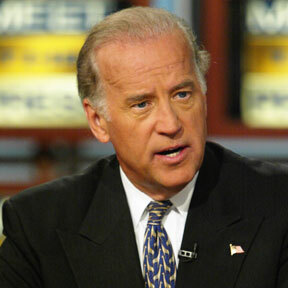 It should be noted that in Biden’s previous speeches he had been citing his sources appropriately. The digital age has had a tremendous impact on education, providing students with access to extensive pools of credible information. This has led to some interesting developments in students’ workflow. In 2008, the independent Cambridge student newspaper Varsity carried out research that revealed that 67% of survey respondents had broken university rules. Even more significantly, 49% of all respondents admitted to some form of plagiarism. So has the introduction of plagiarism checkers in any way stemmed this practice and transformed education? Implementing plagiarism checkers certainly affects academics’ work. Academics at conventional educational institutions and virtual learning environments have welcomed the integration of such in-depth analysis into the assessment of students’ work. These tools provide an objective measure of plagiarism, albeit subject to academic interpretation. Moreover, if staff are provided with sufficient training, these plagiarism reports serve as a valuable instrument even when feedback is given. Studies also show that the time taken to scan students’ submissions has been considerably reduced by the introduction of plagiarism detection systems. This has many beneficial effects, including increased time for academic evaluation and faster responses to submissions. Academics and students alike have welcomed this trend. Understanding plagiarism means understanding its definition, its implications and its logic. Plagiarism is usually an ethical issue but can also turn into a legal one depending on the situation. While students may not be subject to legal measures for plagiarising content, though they certainly will be held responsible, this is not so for publishers. Publishers of periodicals in the academic field or otherwise are sometimes faced with the question as to whether the content of a material falls within the scope of plagiarism. In such instances it may be useful to be able to distinguish between plagiarism, similarity and copyright infringement. Is ‘repurposing’ simply a fancy new word for plagiarism? With the advent of digital culture and the ever-greater accessibility of information, many new questions around the concept of authorship arise. Originality and copyrights are challenged once again and must be redefined constantly. While collages, patchworks, appropriation or replication of texts have been around for a long time, the past 20 years have seen an entirely unforeseen development. Boundaries between authenticity and plagiarism are as blurred as ever (or even more) and there is no easy answer to such matters. And what about self-plagiarism? Such questions have been addressed by a number of authors such as Kenneth Goldsmith, Judy Muller, Jenny Mackness and others. This article will try to present the main issues posed by repurposing and how students could go about when needing to present their own or other people’s content in a different format.